Oscar-winning director Alejandro G Inarritu has been named this year’s Cannes Film Festival jury president. 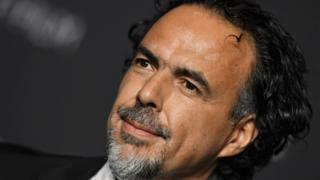 The Mexican film-maker, who won back-to-back best director Oscars in 2014 and 2015 for Birdman and The Revenant, said he was “humbled” to be asked. Inarritu follows on from actress Cate Blanchett, who oversaw the jury at last year’s event in the south of France. The jury chooses the winners of awards including the Palme d’Or. The 2019 festival will run from 14 to 25 May. Inarritu said: “Cannes is a festival that has been important to me since the beginning of my career. “I am humbled and thrilled to return this year with the immense honour of presiding over the jury. Festival president Pierre Lescure and artistic director Thierry Fremau praised Inarritu as “not only a daring film-maker and a director who is full of surprises” but also “a man of conviction, an artist of his time”.